I can’t believe I’ve written three articles about this weird XI particle. A few months ago, physicists observed a new subatomic particle—essentially an awkwardly-named, crazy cousin of the proton. Its mere existence has energized teams of particle physicists to dream up new ways about how matter forms, arranges itself, and exists. Now, a pair of new research papers using different theoretical methods have independently unearthed another, crazier particle predicted by the laws of physics. If discovered in an experiment, it would provide conclusive evidence of a whole new class of exotic particles called tetraquarks, which exist outside the established expectations of the behavior of the proton sub-parts called quarks. And this result is more than just mathematics. Bust first, some physics. Zoom all the way in and you’ll find that matter is made of atoms. Atoms, in turn, are made of protons, neutrons, and electrons. 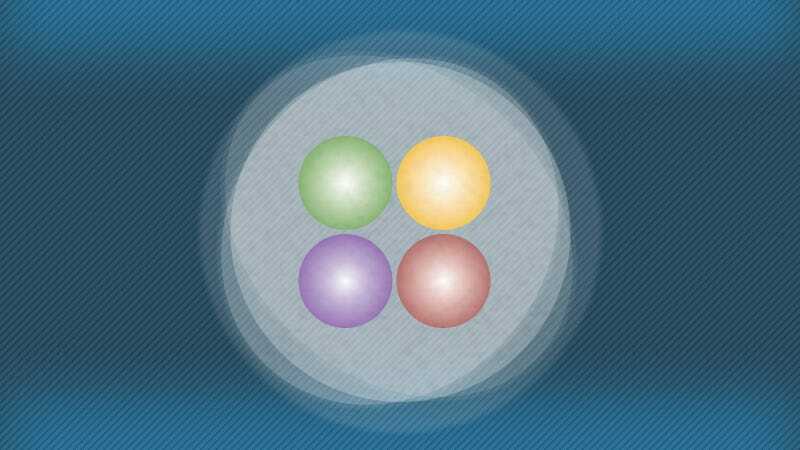 Protons and neutrons can further be divided into three quarks. Physicists have discovered six types of quarks, which also have names, masses, and electrical charges. Protons and neutrons are made from “up” and “down” quarks, the lightest two. But there are four rarer, heavier ones. From least to most massive, they are: “strange,” “charm,” “bottom,” and “top.” Each one has an antimatter partner—the same particle, but with the opposite electrical sign. As far as physicists have confirmed, these quarks and antiquarks can only arrange themselves in pairs or threes. They cannot exist on their own in nature. The DZero collaboration at Fermilab announced the discovery of a new particle whose quark content appears to be qualitatively different from normal. The particle newly discovered by DZero decays into a Bs meson and pi meson. The Bs meson decays into a J/psi and a phi meson, and these in turn decay into two muons and two kaons, respectively. The dotted lines indicate promptly decaying particles. 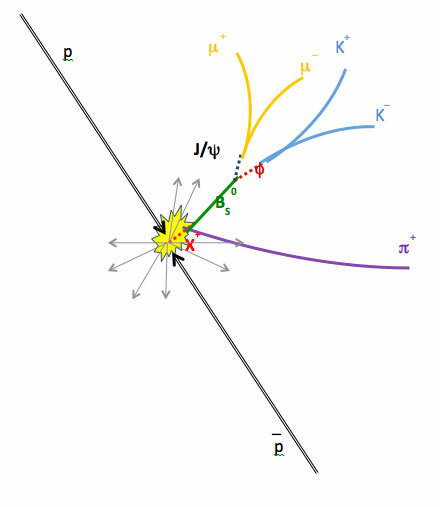 The study, using the full data set acquired at the Tevatron collider from 2002 to 2011 totaling 10 inverse femtobarns, identified the Bs meson through its decay into intermediate J/psi and phi mesons, which subsequently decayed into a pair of oppositely charged muons and a pair of oppositely charged K mesons respectively. Science paper in Physical Review Letters. With the knowledge such a particle could exist (and with the knowledge of its properties like its mass), two teams of physicists crunched the numbers in two separate ways. One team used extrapolations of the experimental data and methods they’d previously used to predict this past summer’s particle. The other used a mathematical abstraction of the real world, using approximations that take into account just how much heavier the charm, bottom, and top are than the rest to simplify the calculations. In both new papers published in Physical Review Letters https://journals.aps.org/prl/abstract/10.1103/PhysRevLett.119.202002 and https://journals.aps.org/prl/abstract/10.1103/PhysRevLett.119.202001, a stable four-quark particle with two bottom quarks, an anti-up quark, and an anti-down quark fell out of the math. Furthermore, the predicted particles’ masses were not quite the same, but similar enough to raise eyebrows. “As you notice, the conclusions are basically identical on a qualitative level,” Marek Karliner, author of the first study from Tel Aviv University in Israel, told Gizmodo. And while lots of tetraquark candidates have been spotted, this particle’s strange identity—including the added properties and stabilization from its two heavy bottom quarks—would offer unambiguous evidence of the particle’s existence. “The things we’re talking about are so weird that they couldn’t be something else,” said Quigg. But now it’s just a manner of finding the dang things. 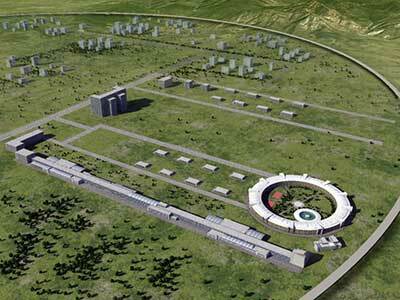 Quigg thought a new collider such as one proposed for China might be required. But physicists are in agreement that the sometimes-overlooked LHCb experiment has been doing some of the year’s most exciting work—Karliner thought the experiment could soon spot the particle. “My experimental colleagues are quite firm in this statement. They say that if it’s there, they will see it.” He thought the observation could come in perhaps two to three years time, though Quigg was less optimistic. Such unambiguous detection of the tetraquark would confirm guesses from as far back as 1964 as to how quarks arrange themselves. And the independent confirmation from different methods have made both teams confident.